Screen Capture (screenshot) Tools for Windows from Hyperionics - HyperSnap-DX DirectX, Direct3D, 3dfx Voodoo Glide, HyperCam screen recorder (screencam) and more. Please note: version 8 upgrade is free for users who bought v.7 license on or after Aug. 1, 2013. Otherwise there is a $19.50 upgrade fee. You may check your license here. You may download and install HyperSnap 8 anyway - it does not delete the older versions from your computer, and it either detects your valid older license or you may use it as a free evaluation for 20 days, if you don't qualify for the free update. The older HyperSnap is available all the time on your computer, then either buy the upgrade license of safely uninstall version 8. As you can see, HyperSnap receives continual attention as we listen to users' comments and suggestions to make it the best screen capture utility for Windows possible. You may download the latest version at HyperSnap Download Page. Security enhancement - all binary components (EXE and DLL) are now digitally signed. Fix: custom colors added on the "Edit" ribbon tab where not saved when HyperSnap exists and restarts. Fix: Customize ribbon function did not work. Fixed: very slow sprogram start after the recent Microsoft patches for Windows system vulnerabilities. Note: the old menu and toolbars interface still present in HyperSnap as option could not be fixed and may be slow. Please use the default modern ribbon interface. Fixed: saving image as JPEG would convert the original image in HyperSnap window from 32bpp to 24bpp, breaking the "automatic save ONLY if the new capture is different" feature. Fixed: if HyperSnap window was maximized and Edit - Paste as new image command used, the window would restore to smaller, non-maximized size. 64-bit version only - removed unnecessary dependency on msvcr120.dll. New option on Capture Settings - Capture tab: when doing automatic saving, printing or pasting ONLY if the new capture is different, you may now specify the % of pixels that are permitted to be different without triggering the auto-save etc. Fix: on Edit Stamp dialog box, "Options" tab, the "Blend stamp" slider did not work. Replace colors for non-rectangular selection now does not change colors of pixels that are not inside the selection, if the "apply alpha" box is checked-off. When copying a fragment of an underlying image only, without any shapes, then pasting it over another selected area, will now avoid the "jump" from the selection by the original offset of the copied fragment. Added "Extend canvas..." function to the thumbnails right-click menu, where you may specify how much to extend the image on each side for all images selected in the thumbnails bar. The default "View and Shape Selection" mode fix: automatic switch to area selection will happen only if the entire image is visible in HyperSnap window. Otherwise moving mouse with left button down will just "pan" the view as it used to do in versions before 8.12. Minor fix - using the Crop function will not switch the cursor mode into rectangular selection any more. The default "View and Shape Selection" mode is now enhanced: if you press the left mouse button while in this mode, and move the mouse more than 8 pixels in any direction, it automatically switches into "Rectangular Selection" mode, to either select part of underlying image for copy/move, or select shapes while holding Ctrl key. If you want to return to the default view and shape selection, just click the right mouse button. The eraser tool on the ribbon has now also 1 and 2 pixels sizes available. Fix: in some drawing modes (e.g. pencil, spray can, eraser) clicking on the color picker tool and picking color from the image would inadvertently draw extra lines, change pixel colors etc. Quick Save function file name macros %date% and %time%, that are replaced in the file name with the current date and time, are now extended and support optional notification %date#date format% and %time#time format%. Fix for vertically oriented monitors. Additional option in Quick Crop function, to skip cropping if the capture operation was "Region Capture"
Small change to -print:af command line option, if the captured image width is larger than height, landscape page orientation is selected automatically. Corrections for incorrect region, window captures under Windows 8.1 and Windows 10, when multiple monitors are in use at different magnification. Small bug fix - with image tabs, and HyperSnap 8 window not being the system active window, a click on a tab would not activate HyperSnap and e.g. pressing command keys like Ctrl+C to copy the image just shown would not work, until the window was clicked again. Updated for better compatibility with multiple desktops feature of Windows 10. Updated for compatibility of the Firefox Add-on with Firefox ver. 40 and higher. Fix: Color substitution was not remembering transparency (alpha) and not applying it when doing auto-replacement on each capture. Correction - copying an image of irregular shape or with transparent areas would turn into solid background color on the target image. Updated Firefox add-on to work with the latest release of Firefox. Fix: pasting to the left, right, top or bottom of current selection did not work correctly. Fix: was crashing when saving a JPEG file previously opened for a JPEG, if the opriginal JPEG had some mal-formatted EXIF data. Small change to the way the "Paste as new image" command works - now all the image processing and auto- operations for this command are the same as for screen captures. Makes automating some tasks easier and more consistent. Firefox v. 35 was released with a bug that prevented our add-on from working. In this release I work-around that bug to make it possible to use the add-on again. Auto-paste image - New feature: define custom keys for image paste operation, which lets you insert extra Return characters, text before and after the image (with macro expansion for date, time, image name, user name etc.) and even activate additional windows and paste the image in one operation into several documents. Loading next/previous file with page up/down keys now takes into account any changes, like file deleted, added or renamed in the folder. It now also rotates through all graphics files, instead of only one type of files like .jpg or .png. Fix: images wider (or higher) than 32767 pixels were not displayed correctly. Small change to the behavior of "Delete file" function on File menu (ribbon interface only), now if will load the next file from the same directory, if available. The "next" in the sense of alphabetic sequence of image file names. Another fix to Firefox add-on. Was malfunctioning particularly on Windows 8. Fixed crash on Windows 8, when image captured or opened, and moving the mouse over HTML label in color selector part of the Edit ribbon tab. Fix: send by email as PDF, and possibly some other formats, was broken. Now works correctly. Added "Close and delete files" function to the right-click menu on a thumbnails, when one or more thumbnials are selected. Fixed "Extended active window capture" - previously worked only in 32-bit version of HyperSnap 8, and only for 32-bit windows. Now both 64 and 32 bit windows are handled correctly from both versions of HyperSnap 8. Fixed "Email selected" on thumbs right-click menu, previously did not work on Windows 8 and/or for MS Outlook 2013. Fixed thumbnail reordering with drag-drop, previously displayed an error if the "image tabs" at the bottom were hidden. Fix for running only a single instance of HyperSnap 8 64-bit by default, when clicking on its shortcut or opening image files with a double-click. Added option to prefer either PNG or JPEG file format, when dragging out images from the Thumbnails bar to any folder or other app accepting image file drop - see under Customize - Tabs. Fix: paste each capture on current image did not work, if no "Extend..." was selected, and "Copy each capture to clipboard" was turned off. Fix: rounded cornered and oval callouts with non-transparent backgrownd were not drawn correctly. Small bug fix - sometimes would not read correctly configuration (.ini) file. Small change to allow control of Capture Settings dialog box from external software (using SendKeys() function). Fix for the crash on Windows Vista only. Added ability to paste images from HTML clipboard format, that MS Word and other programs put sometimes into the clipboard. Removed ImageShack upload functions, as ImageShack now changed their servise terms and handles only paid accounts. When in screen capture mode, outlining a region, selecting a windows etc., one can right-click to show a menu and change the mode. Now, the same letters you see on the right of that menu, work also if you press them on the keyboard to switch the mode, without a right-click to show the menu. Modified to take into account shapes extending beyond the image area for auto-zoom, scrolling etc. Fixing a crash when using File/Open for some JPEG or TIFF files. Permits more ribbon customization, e.g. add custom tabs and panels with the functions you select. While opening JPEG and TIFF files, image orientation - if known - is taken into account and the image is auto-rotated to the correct orientation. Fix: The saturation slider on "Color Correction" did not work quite right. F12 cannot be used as a hotkey under Windows, so blocked its entry in the Hot Keys dialog box. Fix: Alt-key combinations to access ribbon functions were not working correctly when the mouse was inside of HyperSnap 7 drawing area. Fix: Image rename function within thumbnails list was interrupted, if the muose was moved into the drawing area. Fix: Highlight with the currrent foreground or background color in "draw directly on image" mode was not working correctly (drawing only black rectangles). License delete and version check/update disabled for customers with corporate-wide licenses (only Admin can set license and update software in corporate environment). This change is not announced in the automatic version check, as it does not affect regular users. Fix for Windows 8 filetype registration for opening graphics files etc. The "Register File Types" item is no longer shown in HyperSnap 7 ribbon or menu when running on Windows 8, but right-click any supported graphics file in Explorer and choose to open with HyperSnap 7 or set HyperSnap 7 as the default app there, all should work correctly. Fix for line width selection from the old style drawing toolbar, was not working right after adding more line widths to the ribbon interface. Fix for Windows 8 - starting a capture with hot-keys in "Metro" interface no longer requires Alt+Tab to switch to desktop mode to view and finish the capture - switches automatically when needed. Fixed frames missing one pixel in top left corner. Improved blurry text in callouts when background color is totally opaque (Alpha 255). Had to disable anonymous upload to ImageShack - it never worked correctly. Small fix - font selection box for text and callout items did not work correctly under Windows XP. Added keyboard shortcuts in text editing box of toggle of bold (Ctrl+B), italics (Ctrl+I), underline (Ctrl+U), left align (Ctrl+L), center (Ctrl+E) and right align (Ctrl+R) commands. Fixed transparency issue for stamps created with HyperSnap 6. Automatically imprinting edge effects like torn edges before adding a shadow to an image. Added hot/cold button state selection to button capture tab of "Caputre settings". Hot state is when the mouse cursor is over a button, cold otherwise. Added "Resize to contain text" option to text editing box, for text items and callouts. Added Align - Center horizontally and vertically commands, and changed the way align commands work - now they align relatively to the common bounding box, instead of asking user to drag a line first. Changed stamps list to multi-select (hold Ctrl or Shift to select more than 1 stamps), valid for Insert and Delete operations. Fixed TextSnap to work again with Internet Explorer 9 in "protected mode". Changed Stamps list to multi-selection. Hold Ctrl or Shift key while clicking on stamp names to select more than one, then click "Insert" or "Delete" button to insert/delete multiple stamps in one operation. Modified again the way copy/paste of image area works. Now again preserves the original position, unless the pasted fragment would fall entirely outside of the target image - in that case it goes to (0,0) of current selection. Added "Align" command for shapes to the "Edit" ribbon tab, and modified the way align works - it now shows and lets the user move a vertical or horizontal line to which the shapes should be aligned. Renaming an image from the thumbnails list (click the thumbnail, then click again the name below it to edit it) now also renames the file belonging to this image. Split button added to Image ribbon tab, to split images horizontally, vertically or 4-ways. the current selection rectangle, causing it to fall outside of the image sometimes. Fixed - no longer rounding corners when capturing windows under Windows 8. TextSnap marked as unsupported. It still works as always, but a notice appear when turned on, explaining the lack of support. Modified "Display pixel size of the blinking rectangle during Window capture" option - it is turned off by default now. Press the - (minus or hyphen key) during window capture to turn on this display. It was causing trouble for some users. Added an option for turning text smoothing off and on again for text and callout items. a temporary file will be generated as before, but this time taking into account the format specification last used under File/Save As... - if that format was GIF or JPEG or PNG. Else HyperSnap auto-selects GIF or PNG. Move or delete selection - clears to background color but ignores transparency (alpha). Make a freehand selection and finish it, cursor still in freehand selection mode - Del and BS keys don't clear selected area. Bug fix - pressing Delete key on the keyboard not only deleted selected shapes, but also cleared the whole image to white (although this could be reverted with Undo operation). Now it works correctly. Dragging corners of pasted image by default now preserves proportions of the image. Hold Shift for unrestricted scaling of such images. Or hold Ctrl key while dragging corners of other object to preserve their proportions. Changed the way area selections work (both rectangular and freehand selection). Making these selections with Ctrl key down, selects only shapes. Without Ctrl pressed, the underlying image area is selected and the shapes are drawn on top of this selection. The selection object then floats above all other objects, so it's easier to see, move, edit. Upon start of a text edit operation the window was still showing the OK button as a default button, activated by pressing Enter key, while in fact Enter produces new lines in the edited text. Area select and move it - cannot select another area close to it before first imprinting the previous one. Freehand area selection - switch to other image and back - transparency lost, no matter if moved or not. Windows explorer thumbnails no longer worked on 64-bit systems. "convert selection to an object" and then scale. Zoom up above 400% and down twice permanently hid objects drawn over the image. Now they are shown back if they were visible before the zoom. Rectangular selection, immediatelly after drawing it first and releasing the mouse button, was scaled instead enlarged when dragging its corners or mid-section handles. Now it willbe scaled only if you move it _and_ click outside to de-select it, then select again. "W" key during region capture and similar functions toggles cross-hair or selection box line width between 1, 3, 5 and 7 pixels - wider lines are sometimes needed for visually impared. Images pasted on the current picture in HyperSnap 7 window, and stamps without text, are now scaled bigger/smaller if you start dragging corners of them. The rectangular area selection, after it's moved and de-selected, then selected again, is now scaled when dragging its corners, instead just enlarging the selection area. Pasting images copied from another HyperSnap window on a current image, would always paste at top left, instead of at selection top left. Drawing lines and other objects - if released left mouse button while mouse was beyond HyperSnap drawing area, the object would disappear. When adding text, it was not possible to start dragging text outline rectangle over an object drawn before, unless these object were "imprinted" on the underlying image. Copying an image with 8 bits per pixel color resolution and pasting it back into HyperSnap 7 caused color reversal - blue to read etc. Copying image with color resolution reduction to 8, 4 or 1 bits per pixel was incorrect. Thumbnails were not always updated when adding, moving shapes. On some 64-bit systems text capture did not work for 64-bit processes (e.g. from Windows Explorer) due to missing DLLs. Now HyperSnap 7 setup provides these DLLs and corrects the problem. Fix to copy/paste images with transparent background color - the older version did not respect color transparency setting and would always paste as non-transparent. Text drawing mode modified - now leaves the new text item just created "selected" with resizing handles visible and active. If you move mouse over this item, you may move and resize it at once, double-click to edit again etc. If you move mouse over image space empty of other drawn object, the mouse cursor is still in new test creation mode as before. Some users were confused and thought they can no longer resize text items created, this should make it much easier. Some small bug fixes - e.g. arrow head size was not always shown correctly under certain zoom levels etc. Upload to ImageShack.us added to "File" menu, and also right-click on the thumbnails list offers a batch upload of all selected images. The upload generates and copies links to images uploaded, that can be easily used on the Web, e.g. in online forums and blog posts, including short links for Twitter. "Copy" function added to the right-click on thumbnail menu. Freehand area selection fixed to follow image zooming and scrolling while the outline is still edited. Automatic update of Firefox add-on upon the first try to capture image or text from it, if the version of add-on in HyperSnap directory is newer than the one currently installed in Firefox. Mid-edge handles for selection resizing. Pressing F1 key now displays correct help HyperSnap main window and dialog boxes. Online help now synchronizes with the "Contents" tab. Fixes to undo/redo not correctly remembering modified state of the drawing. Added icon selection to Options menu. Fix: changing Windows "theme" would mess up HyperSnap 7 window, check-boxes in the thumbnail list became huge etc. Fix - double click on an image icon would not open in HyperSnap 7, if HyperSnap was registered to handle this format. Fixed: Image/Black & White function crash on some 32-bit images. Fixed: HyperSnap 7.10 would crash on startup if the user set the "number of recent files to show on File menu" to 0. Fixed: changing image resolution did not mark an image as modified. Added %clip% macro to print header/footer and to stamps text macro expansions. Takes up to 256 characters of the text from clipboard, if any found. Added "Clear recent files list" option to "Startup and tray icon" dialog box. Added "Options" button to the File panel of the ribbon to access this box from there as well. Right-click on a closed shape (only one must be selected) offers now a "Convert to selection" option. New option under File/Open to use color correction if a color profile is found in a PNG, JPEG or TIFF file. The list of most recently used files under "File" menu is cleared automatically from files that no longer exist upon program startup. When setting zoom above 400%, drawing mode is auto-switched to "draw directly on image", restored when lowering zoom to what it was before. Bug fix: File/Page Setup did not work correctly if text window was opened and currently active inside HyperSnap (e.g. from TextSnap command). It would crash when orientation changed to Landscape or on other operations. Bug fix: Color Resolution, click on 1 bpp did not work on the first try. Also, selection was not modified by color resolution changes, now hiding it. Changed the way flood fill works - it now respects current area selection, or if clicked on a shape - modifies the shape's color. Bug fix - undo/redo was not working for Rotate Any Angle, Shear, Mosaid and a few other functions. Printing multiple images from HyperSnap thumbnails bar is improved, now respects the settings under File/Page Setup, draws shapes, header and footer texts. Fixed: search command from the ribbon's "File" tab would sometimes crash the program. Upon fresh install the default save-to directory will by "My Pictures", not an obscure directory under "roaming"... something. Shear, mosaic, emboss, sharpen/blurr and black & white functions now remember values used previously and offer them as default upon next use. Bug fix: crash when selecting rectangular area totally outside the image. Added keyboard access to ribbon commands, e.g. Alt+F - O to open a file etc. Selecting a rectangular area beyond the image made the part of selection beyond image opaque, corrected it to be transparent again. Online help updated to cover all HyperSnap 7 functions. Many users had trouble finding the Highlight and Arc functions, hidden under "More shapes" button on the Edit tab of the ribbon and on the drawing toolbar. Moved them to the main part of the tab and toolbar, removing "More shapes" button. Rectangular and freehand area selection modes are modified slightly, allowing you to resize the rectangle, move it etc. without changing the mode to "View/select". HyperSnap 7 Firefox plugin made compatible with Firefox 6. Selecting the color button on the optional drawing toolbar, "pick from screen" function did not work, fixed. The "auto-trim" function was not showing the selection rectangle, where the trimming would occur, fixed. In text window (after a scuccesful TextSnap capture) Ctrl+A keys did not select all text, fixed. Opening graphics files (e.g. PNG, JPEG) from Windows Explorer - right click - Open with HyperSnap did not work correctly, fixed. Bug fix: an issue was identified and fixed, where using a hot key to capture screen while Print Preview was opened, could lead to a confusing situation of the program or even a crash. The same issue is now corrected in HyperSnap ver. 6.91.03. Rotating a selection smaller than the whole image did not work correctly. Rotating some images with 8 bits per pixel or less color resolution unexpectantly changed colors of the image. For some images with color resolution 8 bpp or less, clicking color buttons on the ribbon to select line or fill color had no effects, the color was always black. Reversed the direction of zoom when turning mouse wheel and holding Ctrl key, to be consistent with (illogical in my opinion) direction that all other programs use. A number of smaller fixes to printing and selection code. Selection of image area (rectangular or freeshape) is now added to undo-redo states, so e.g. if you select an area and accidentally click outside, you may press Undo button to get it back. Most image processing functions (color processing and image effects like mosaic etc.) now work correctly on freeshape selection. Some users were confused why tools like spray can, flood fill or eraser were disabled by default. Now they are enabled and switch automatically into "draw on image" mode. A message is displayed when this switch happens, the user may disable the message after becoming familiar with this feature. Edge effects like torn edges etc. are now also "shapes" and can be moved, copied etc. like everything else. Corrections to printing code to correctly print torn edges and similar effect, hopefully they also fix a problem with printing on some HP laser printers. When pasting something at the top, bottom, left or right of the image - or similar effects when capturing a region and adding in that way - the added image is now a separate shape that can be moved and manipulated in any way. Cut-out strip function sometimes did not work (did nothing), fixed. When using "replace image in current window" for captures, all shapes drawn for previous image were added to the new caputre as well, and indavertantly saved on captured images, sometimes obscuring the actual capture. Fixed now. Fixed crash when clicking "Customize Keyboard" button under Capture or TextSnap menu/ribbon tab - "Hot Keys" button. Still small changes to the way rectangular selection works, now you may adjust its size after first selecting it, it does not disappear when you move selection, so you can adjust your movement etc. Image effects and color changes were not immediately showing when changing a smaller area of an image, fixed. Many users were confused about how selection works in HyperSnap 7 (rectangular and free-shape selection), so changed that. Now these tools are enabled all the time. If there are any un-selected shapes within the selected area, the shapes are added to selection. If no new shapes are added, instead an area of the underlying image is selected and can be moved, scaled, rotated, or deleted to clear that area to the current background color. Fixed some problems with reading/saving GIF files, including saving/reading transparency and a program crash on some GIF images. Fixed a problem with program crashing when using the highlight tool for a longer time. Fixed the program lock with area fill (bucket) tool use for some images. On popular demand changed the way drawing tools work. Now - as in v.6, when you select e.g. drawing lines, HyperSnap will remain in drawing lines mode until you change it (in 7.01 it went back to selection mode). You may right-click to go back to selection mode at once anytime. Corrected a problem with text drawing (new text appeared in left top corner instead where drawn), also fixed the crash if text entered in "draw directly on image" mode. Right-click on shape that is not selected, now selects it and shows the properties menu. Previously did nothing, you had to left-click to select the shape first. Added "Edit text..." item to the right-click-on-shape menu, if clicked on text or callout shape. Finally! The big v.7 release. Too many new features to describe them here, please see the features page. Please note: version 7 upgrade is free for users who bought v.6 license on or after July 1, 2010. Otherwise there is a $19.50 upgrade fee. Game capture updated to snap screens from CM Battle for Normandy and other games using OpenGL graphics drivers. Added an option to minimize HyperSnap window when Escape key is pressed. Turn it on under "Options" menu, "Startup and Tray Icon"
Another small to game capture code - one of Lara Croft games under Steam engine did not capture. Updated game screen capture technology to snap full screen games running with Direct3D v.9, v.10 and v.11. No admin rights necessary to capture game screens. Small fix - TextSnap restores HyperSnap window to full screen, if before text capture HyperSnap was in full screen mode. Minor fix to capture window with auto-scroll function. Additional option to Tabs page under View/Customize menu, allows you to decide which tab is activated after you close a tab. Custom colors defined by the user are now remembered across program restarts. When prompting to save a modified image before program exit, HyperSnap now visually switches to the image in question. Color correction dialog made to behave more logically and to remember the "show changes immediately" setting. HTML clipboard format did not work in auto-copy mode. Colors were inverted in auto-copy mode when 256 color format was selected for bitmap copy. Always captured RTF text format from 64-bit programs, even if only plain text was required. Some WMF and EMF files read by HyperSnap were displayed with incorrect colors. Program became unresponsive if a file name given on the command line was not a graphics file. Improved display of 32-bit images used as stamps, when they use partial transparency in alpha channel. Importing an image into a new stamp (without other information set) automatically sets the total size of the stamp to the size of imported image. Fix for image resolution being set incorrectly after some specific sequence of operations. "Region with Scrolling" function added to Capture menu, main toolbar and hot keys. Autoscroll corrected for Opera 10.5, however may not work correctly for non-default screen layouts - therefore a better way to capture pages with auto-scrolling from Opera 10.5 is with "Region with Scrolling" function. Hot keys setup dialogs now check for duplicate key definitions and refuse to accept duplicates. Optional new toolbar for Internet Explorer and FireFox web browsers provides easy access to page capture function with or without scrolling. Extended Windows icon reading code to support Vista icons. Correction for old Windows MetaFile reading code. Fixed - did not come back to maximized window state after a capture, if was maximized before. New "Save All" command added to File menu and the main toolbar. New "paste" commands added on Edit menu, to paste image to the right, bottom, left or top of current selection or entire picture. Fixed double-click on magnification control in the main toolbar - now again toggles correctly between 100% and auto-fit. Two new buttons added to the main toolbar (on top of HyperSnap window) - to open an Explorer window on the current image folder, and to copy the current image path and file name to clipboard. Better quality image scaling when displaying images at magnification levels other than 100%. Corrected: automatic saving of screen captures (Quick Save) with file number incrementing will _not_ skip over existing file number, if the "Loop from to to stop number indefinitely" option is selected. Correction to auto-scroll capture to allow auto-scrolling of smaller windows. Fixed: pasting a 32-bit image into HyperSnap and then saving a 32-bit PNG image would result in incorrect transparency of the final PNG file. Pasting an image extending beyond the bounds of current picture in HyperSnap will now enlarge the current picture if "no clipping" is selected. Automatic saving of screen captures (Quick Save) with file numbers incrementing will now "skip" over existing files, instead of overwriting them. Yet another improvement in auto-scroll code, now compares the captures before and after each scroll from two different places to improve reliability. Fix for printout header and footer not being printed or even remembered. Minor fix to "auto-scroll region" function only - bringing to top and refreshing the target window to be scrolled sooner, seems to fix a few places where auto-scroll region did not work correctly. Fixed a small problem with portable setup. Fixed: color pickup from 32 bit images picked up the color of one pixel down from the clicked place. Color correction options can now be auto-applied to all new screen captures, plus include also conversion to gray scale and inversion of black and white. When the "replace image in the current window with the new capture" option is selected on "View & Edit" tab of "Capture Settings", the names of new captures are now incremented, e.g. Snap3, Snap4, Snap5 - instead of keeping all the time the same name. Optional portable setup - install on a portable disk/USB key etc., take your HyperSnap to any computer. All your settings are also preserved. More fixes for TextSnap compatibility with Internet Explorer 8. Two bugs in previous release fixed: saving 32-bit PNG files was incorrect, 64-bit TextSnap component crashed on some machines. The "Blend Selection" slider on the drawing toolbar now also affects drawing commands, making them draw in translucent mode, when set in between the left and right position. For normal drawing, keep it at maximum right. Corrected corruption of top toolbar, when a notification about new version was showing up. Corrected menu font height to be the same as ver. 6.31 and older, and same as all other Windows programs. Fixed - start minimized flashes the open window first. The drawing toolbar can be again docked horizontally to the top or bottom of HyperSnap window. Updated user interface with several "skins" to choose from on the "Options" menu - "Application Look". Image tabs may be configured to be positioned above or below the image area, have different colors and properties. Right-click on a tab displays a short menu to close or save an image and to customize the tabs. Corrected auto-scroll to work with Google Chrome browser. Moved "Close All" command from Window to File menu. Corrected a bug that caused sometimes HyperSnap to print multiple copies of an image, when only one copy print was requested. Automatic capture processing, such as converting to black & white, substituting colors, adding a shade or frame, inserting stamps - will turned off and you need to manually turn it on when you exit and restart HyperSnap. If you do need to preserve these options at all times, add "-ra" command line option to the shortcut you use to start HyperSnap (see online help, "Command line usage" chapter). Added "Full Screen Presentation Mode" and an option to automatically enter it after each capture. In effect, when this option is used combined with full screen capture, it looks like the screen was "frozen" and you have a floating HyperSnap drawing toolbar to draw all over the screen, highlight features, add text boxes etc. Useful e.g. when presenting software operation. A new method to capture video overlays added - enable it under "Capture" menu, "Enable Video or Game Capture...". Once enabled, regular HyperSnap screen capture functions capture also video images. A small bug in print preview fixed. Another correction to TextSnap function "Capture Text with Auto-Scroll" - would not auto-scroll windows that do not react to mouse scroll wheel. Correction to TextSnap function "Capture Text with Auto-Scroll"
Corrected a problem with auto-scroll not working with some non-standard settings for mouse wheel scrolling. Added an option to turn off Vista transparency during Window and Active Window captures. Fixed Print function - the "Print Range" would ignore the "To:" setting and print all pages till the end, no matter what you entered. Capture/Window function from Internet Explorer 7 will now exclude the vertical scroll bar, if you click inside a document. Capture Text From an Object Under Cursor command has now an option to make it capture with auto-scrolling. Tab-delimited text capture improved to account for empty fields in some columns. Better line spacing in TextSnap (sometimes 2 empty lines were inserted instead of 1). Corrected a problem with stamp list dialog box on Vista. Corrected a memory leak in acquiring images from scanners or other TWAIN devices. Capturing multiple images with tiling them on one image (option on "View & Edit" tab of Capture Settings) modified, so that the first capture, in absence of any other images inside HyperSnap window, works as a normal capture, instead of appending the new capture to an empty new image. Correction in JPEG reading code to read correctly certain very rare images that were crashing HyperSnap. A problem with File/Open function on Windows 98 corrected. Extended Active Window capture did not work, corrected. File/Upload to FTP Server... function has a new option - "Copy link text to clipboard...". When selected, you may define a text, including macros like file name and path, image width and height etc., which will be copied to clipboard upon successful FTP upload, ready for pasting into HTML editors. %compname% added to HyperSnap macros (for text and stamp editing, and printing header and footer). If you enter %compname% into these boxes, it will be expanded into the current computer name. Bug fix - screen capture did not work under Windows 98 and maybe other old versions of Windows. TextSnap now also works for 64 bit processes on Vista 64-bit version. Added ability to change which keys should be pressed for an automatic paste of captured images into other applications. Currently there is no user interface for editing these keys, they may be only modified by a registry entry. Contact Hyperionics support if you need this feature. Corrected opening PNG files with 2 bits per pixel color format. Corrected command line processing for -snap:window option - if cancelled, used to display error message instead of quitting silently. Corrected unnecessary text object or stamp duplication after double-click - Cancel of text or stamp edit and trying to move the object. New option added to "Copy & Print" tab of Capture Settings, to minimize the application window, to which we are automatically pasting captured images or text, after the capture was made and pasted. Small correction, Edit/Paste as new image function pasted an 8 bit image copied from MS Word, now it will select automatically an image with the best color resolution. Two new TextSnap functions added: Text from a window with auto-scroll and Text from a region with auto-scroll for capturing longer passages of text that require vertical scrolling to capture all of it. New TextSnap™ Settings item on TextSnap™ menu allows quick access to the TextSnap™ tab of Capture Settings. The Quick Text Capture Mode settings are moved from TextSnap™ tab of Capture Settings to the new TextSnap™ Hot Keys on TextSnap™ menu function. The generic “Configure Hot Keys” function from the Options menu was split into two: Screen Capture Hot Keys now found on Capture menu, and TextSnap™ Hot Keys on TextSnap™ menu. Image/Shadow function now has a new shadow direction setting, and a new option to Auto-add this shadow to newly drawn shapes. This Auto-add… setting may be also enabled from the top toolbar with one click on the “Toggle object shadow” button. When enabled, any shape you draw will have a shadow. Arrow styles include now double-headed arrows. New text capture command on Capture menu: "Text from an Object under Cursor", together with optional delay for this function that can be set up on TextSnap tab of Capture Settings. Permits capture of an entire pull-down menu or other objects that quickly disappear when any key or mouse button is pressed. "Foreground Color" and "Background/Transparent Color" buttons on the drawing toolbar, offer now an extra option on their pull-down color palettes to keep selected color the same in all images opened in HyperSnap work-space. Improvement to TextSnap to capture correctly .NET 2.0 Windows Forms and menus. On Capture Settings, Capture tab, added the "Default background color" and its transparency setting. HyperSnap now tries to save all the options and settings to the registry as soon as they are modified, to avoid problems with not saving them upon system shut-down, when HyperSnap was never exited. Added command line text capture tool, available upon request at this time from Hyperionics. Small correction - text capture mode was activated when it was supposed to be disabled. Fix to remove a possibility of accidentally starting both text and graphics capture mode, which could give unpredictable results. New major release, adds TextSnap™ technology to capture editable text from screen where normal copy/paste is not available, plus a few other enhancements. Note: TextSnap™ is available only when running under Windows 2000, XP or newer. Region capture mode now shows cursor coordinates. Only updated to accept also ver. 6 license keys in anticipated release very soon. Some missing popup help screens fixed. The "Convert to Black and White" function can now be auto-applied to all screen captures. Auto-scroll made compatible to work with Netscape 8 browser. Correction to Capture Cursor Only function, some cursors were not captured correctly. Small change in the way some stamps are inserted, it was adding extra pixels when e.g. bottom and right torn edges were added. TIF CCITT Group 4 files were not read correctly, fixed. Pasting over transparent background, also inserting text or stamps did not work, fixed. Quick Save and regular Save would not display error message if trying to save to non-existing directory, fixed. Bug fix - resource leak fixed (excessive use of Windows GDI objects) when drawing over transparent background color under zoom level other than 100%. Bug fix - small resource leak fixed in HyperSnap drawing toolbar with selection lists popping down. New options for Multi-Region Capture added, allow tiling the captured fragments horizontally or vertically, in addition to the default option of preserving the original relative screen positions. "Capture" tab of "Capture Settings" got split into a separate "Region" tab to allow the above options affecting multi-region captures. Several small bugs and interface inconsistencies fixed. File/Upload to ftp Server function allows you now to name and save different "profiles" - that is information about particular ftp servers you use, login names, optionally save passwords for them - useful if you must upload often to different places. Fix: when using Ctrl + mouse wheel to zoom, maximum zoom level was 600%, now there is also 800%. Fix: -onewin command line option did not work correctly when HyperSnap-DX window was minimized. Fix: upon "quick save" with file name prompting, pressing Escape to abort save issued "Error saving file" message, now it will be silent. Updated to auto-scroll Mozilla Firefox browser web pages. Small enhancement added, under "View/Customize" menu, "Commands" tab in "Toolbar Only" category, added 2 new commands and buttons that may be dragged to the main toolbar and used from there. They are "Magnification 100%" and "Magnification Auto-fit" for one-click access to 100% zoom or auto-zoom view of an image. File/Page Setup dialog box has a new option: Fit width, to print an image scaled to fill the entire available page width, while if necessary spanning it down on several pages. New functions: save configuration and read configuration, added to "Options" menu. Fixed a problem with third party software component causing HyperSnap hang upon startup on a few machines. Auto-scroll window code is again changed to capture more windows with scrolling, and to work faster. "Edit Text" - "Text" tab has a new option "Update text immediately". Turning this option off allows correct text entry on Korean systems. Corrected problem with some settings not being saved if Windows is shut-down without exiting HyperSnap. Bug fix: pressing Page Up or Page Down (or "View" menu - next or previous file) will not prompt for saving changes to the current graphics. Some more fixes to the auto-scroll feature, and problem with "Send by email" function fixed. Auto-scroll window function modified to work for more windows and web pages, although it may be now slower on older machines. Image/Shadow function modified to add shadow diffusion (softer shadows) and to follow non-rectangular shapes of images or stamps - taking into account transparency. Image masking color option added to stamps (on the new "Options" tab of stamp editor). HyperSnap now looks for stamps also in its installation directory, and if any found, appends them to stamps menu on the drawing toolbar. This way either HyperSnap setup program, or system administrator, can install some "global" or "standard" stamps for all users on a machine or network. Modified to correctly auto-scroll web pages in Opera 7.20 web browser. New "Turn off font smoothing for capture" setting added to the "Capture tab of "Capture Settings". If selected, tt will temporarily turn off font smoothing (anti-aliasing or ClearType) feature for the capture, then restore it to the original setting when the capture is finished. Capturing screens without font smoothing is often required by print publishers. New function "Capture mouse cursor only" added to the "Capture" menu. Stamp corrections for editing header and footer stamps - when editing such stamp after insertion, it's height will grow or shrink to accommodate all the text added. New windows opened in HyperSnap (File/Open or a new screen capture) now re-use zoom (magnification) level of a currently opened window, instead of always reverting to 100%. Edit/Copy function now also places HTML format information in Windows Clipboard - this is necessary for applications like Outlook Express that can not paste bitmap DIB or DDB formats. Additional delay field added to "Extended Window Capture" dialog box, to let some slow windows redraw themselves before they are captured after resizing. Stamp and text edit boxes now show correct background in the text editing field, instead of using always white background - which made it impossible to see the text if you set white font color. Added 2 undocumented (for now features) to capture mouse pointer only, and the special region capture with auto-scroll which can capture with auto-scrolling the contents of some non-standard windows. The use of these features will be described soon on HyperSnap FAQ page. Better eraser tool, now "eraser" cursor shows the exact size and color of the are to be erased. Fix for double file name incrementing when both "quick save" and "Use the naming for new captures even if not auto-saving" were enabled on "Quick Save" tab of "Capture Settings"
Bug fix - if you clicked outside of HyperSnap-DX 5 window (e.g. on another program or empty desktop) - it would still have the "active window" toolbar color. Bug fix - if your Windows task bar was on top or left side of your screen, upon each startup HyperSnap-DX 5 window would move up or left. New functions under Image menu: Cut-out Strip/Horizontal or Vertical allow to cut-out a strip from the middle of an image and join remaining parts. This could be used for example to easily remove an ad banner from a captured web page. New function under Color menu: "Color Correction" combines Brightness, Contrast, Hue, Saturation and Gamma corrections in one step. "Quick Save" now permits specifying increment step, instead of always incrementing the file name counter by 1. New options on "Quick Save" permit the naming scheme with file name incrementing to be used also for naming captured images (tabs in HyperSnap-DX window) even when not auto-saving to files. Previously new captures were always named Snap1, Snap2 etc. The graphics file format and options of files saved with "Quick Save" and through File/Save As menu is now the same. Previously they used to have different formats and settings remembered, which led to some confusion. A few small fixes in HyperSnap-DX program and the installer. The settings on "View & Edit" tab of "Capture Settings" are now respected also for acquiring/scanning images from TWAIN devices. Saving last font used in text and stamp functions and restoring it when the program starts next. Fix in the installer, previously would make shortcuts in Startup folder on upgrade if the user selected automatic Startup in previous version setup. When exiting HyperSnap-DX 5 and having some files modified, you now have an extra button with "Save None" choice for one-click exit without saving any work. File/Open dialog box has now a spin control (up/down arrows) next to "Page Number to Open" field. A number of small bug fixes to the original ver. 5.01.00 release. Also, a new installer makes download file almost 30% smaller (2 MB now, instead 2.9). Major new release with a lot of new features! Multi-document tabbed user interface, lets you snap and open as many images at once in one HyperSnap-DX frame window, and easily switch between them with tabs at the bottom of the frame window. New free-hand capture method, to draw any outline on the screen and capture only what's inside. Save (upload) to FTP server feature, working also with automatic timed saving. New powerful "Stamps" feature, accessible from "Image" menu and drawing toolbar, allows you to define "stamps" that contain graphics, text or both. Text may contain macros that expand to current date, time, file name etc. at the time of stamp usage. Stamps may be inserted directly on an image, or appended at top or bottom as a header or footer. An option to automatically stamp - or add header, footer to - all captured images with pre-defined stamps. New "Add drop shadow" and "Add frame" functions on "Image" menu, with an option to auto-add a shadow or frame to all captures. New "Blend Selection" slider, allows you to blend a pasted or selected image fragment with underlying bitmap at any opacity level from 0 to 100%. Text adding is more powerful now, allowing to mix fonts, colors and styles of text within a single "add text" box. Also you may edit the text after inserting it by double clicking the text, as long as you did not change the underlying bitmap in any other way yet. New "Tools" menu where you may add commands to start other programs or open other documents from within HS-DX interface. New help in HTML Help format and more "helpful" popup messages after clicking on a user interface item with "What Is?" help cursor. Text tool box has an extra color button, to select font colors that are not present in the standard Windows font dialog. "Capture Settings/Copy & Print" has another option to make HyperSnap prompt for printer when automatically printing each capture, instead of using always the default printer . When a smaller area of the bitmap is now selected, a separate transparency color can be set for it. This makes easier moving irregular fragments of the image by making the background color behind them transparent. Some PNG files would not read correctly, fixed. Automatic print of images, if set, will be now also executed on timed auto-captures. Fixed a problem with auto-numbering files with "Quick Save" enabled and prompting for the file name. Cancelling such prompted save would decrease the auto-number counter, and with the next save a file already existing could be overwritten. Image/Crop function would not display correctly the Zoom area after pressing F1 key (help for more precise cropping). On some multi-monitor setups the "region capture" help and zoom area would not display correctly, e.g. zoom area would be hidden below the lower edge of a secondary monitor. New function Color/Substitute Colors, allows you to define custom color lists to be replaced on an image, like "replace all green pixels with red" etc. You may apply these color substitutions automatically to all screen captures, if you want. New option for specifying where and how to add the number file names for automatic saving (Quick Save) with incrementing file name. You may now insert a C language like formatting field into the file name, e.g. %d, %o, %x, %X, %05d etc. to precisely tell where the number should go, if it should be decimal, octal or hexadecimal, how wide the number field should be and so on. Of course, the old instructions for inserting this number still work, this is for advanced users only. New command line option: -invertbw inverts black and white colors on the initial image in HyperSnap-DX window, no matter if it's opened from a file specified on a command line, or snapped with -snap option. Fixed a bug that caused slight shifting of the printed image near the bottom of the print-out. Non-rectangular window capture (e.g. rounded corners of WinXP windows, or arbitrary shape windows, like Media Player in "skin mode"). PNG files now support transparency and interlace attribute. Saving ICO files now correctly sets transparency mask according to transparency color selected. Color reduction from true colors to palette, now provides less "reddish" colors. GIF files can now be saved in any of 1, 2, 3, ... 8 bits per pixel, resulting often in smaller file sizes. Plus a number of smaller fixes. New option "Do automatic paste, print or save ONLY if a new capture is different from the previous one". This allows you e.g. to set a frequent timed auto-capture of a screen that changes rarely. HyperSnap-DX will only save the captures if it detects a difference. New option "Hide HyperSnap-DX window before capture", by default turned on. Turn it off if you want to capture HyperSnap-DX window itself. The "background color" button removed, as it was a duplicate of the same button on the drawing toolbar. Fixed a long outstanding bug with undo/redo operations after trying to enter empty text. Button capture function under "Capture" menu. Useful particularly for professional technical writers who need to snap and document dozens of buttons in software documentation process. More options on "View & Edit" tab of "Capture Settings", to let you automatically paste new captured images on current image, while preserving relative capture position on the screen, or automatic tiling of images. File/Acquire and Acquire Multiple Images now processes images in the same way as screen capture, allowing you to automatically save, print, copy and paste (with optional tiling) etc. of scanned images. New function under "Options" menu - "Image Position and Background" - you may now select the color and optional hatch of HyperSnap-DX window background, and choose if the image should be positioned in top left corner (as in older versions) or centered within the window. New "Office XP" style toggle option added to "Options" menu. Allows you to switch between Office XP like style of menus and toolbars, and the older classic style, to your liking. Zoom box in the toolbar has now more % choices. Fixed a problem on multiple monitor setups, where some tool popup windows (e.g. color palette) would come up on primary monitor, even if HS-DX window was on another monitor. Fixed a problem on Windows XP, where HS-DX window would sometimes not come up to front after a capture - or if it came to front, other windows were locked and would not come to front until you clicked e.g. Start menu. Fix for "Quick Save" problem - in previous versions, if "quick save" saved your image, then you edited that image and tried to use regular save, it might propose another directory, and possibly another file format. HyperSnap-DX has now "OfficeXP style" menus, white instead of gray, and showing initially only the most important or recently used menu items, expanding upon a click on a double v mark at the bottom. This may be turned off under "View/Customize" menu on "Options" tab. Improved DVD/video overlay capture, now supports also NV12, NV21 (Nvidia cards) and IMC1-4 (Intel) pixel formats. Fix for game capture - previously would sometimes snap double pictures from some games, when "special capture" hot key was pressed. Fixed Edit/Cut function not working in ver. 4.21, and the + key not toggling cursor visibility in Crop or Region Capture functions. Drawing, area selection and cropping operations will now scroll the image, if it's too big to fit into HS-DX window, and you go out with the mouse cursor with mouse button pressed. HyperSnap-DX 4 is now certified for Microsoft "Designed for Windows" logo! Extended Window Capture - new capture technology, to resize windows much bigger than the screen and capture them that way (works only on Windows XP). "Sharpen or Soften..." function added to Image menu. "Capture Settings" - "Crop & Scale" tab - added a button to "Set to current selection rectangle" also to the "Scale Image" part. Added "Set to current selection rectangle" button also to "Image/Scale" function. New ability to turn on and off the images displayed next to each menu item. We received complaints from some of our users who felt that the menus were 'cluttered'. Now, by default, we enable only a few of the images. To turn them on and off individually, select "View/Customize", then open any menu (it's now in special "customize" mode), right click on a menu item and select either "Text" or "Image and Text" according to your liking. The settings will be remembered when you exit and start again the program. Fixed - HyperSnap-DX v4 sometimes would not remember toolbar positions correctly, if you moved the drawing toolbar to be on top, instead of its default location at the left margin. Fixed - Image/Crop function would leave a vertical line over the drawing, if selected from the menu (not keyboard shortcut Ctrl+R). That line would disappear after finishing the crop, but could be disturbing during the operation. Fixed - Image/Crop function should disable menus and all toolbars when executed, and only re-enable them when crop was finished or cancelled. In ver. 4.11 and 4.12 it did not disable menus or extra toolbars created by tearing off menus. Updated to auto-scroll Netscape 6 windows. Fixed: arrow and other keys would not work in capture modes to select region etc., if HS-DX 4 window was minimized before starting the capture. Fixed: voice commands could not be toggled on if running under Win9x/ME. Saving toolbar visibility and docking state even if Windows is shut-down without exiting HS-DX. Added keyboard and menu customization to View/Customize. Any menu command may now be assigned any keyboard shortcut, menus can be re-arranged, hidden, text on them changed. You can also tear off any menu by grabbing a grey bar on top of it and moving your mouse away - this will create an instant toolbar from that menu. HS-DX 4.10 would not start minimized, if both "start minimized" and "tray icon" were selected under "Options\Startup" menu. After Rotate and Shear operations, sometimes the scroll bars would not be correct, unless window resized. Quick Copy operation would not respect "Edit/Copy Format" settings. Some small corrections to the help files. New Options/Register File Types function on the menu - to register or unregister HS-DX as a default viewer for different graphics files. The "top" toolbar in HS-DX can now be customized, any function from the menu can be placed or removed there, use View/Customize menu to do this. Some of the menu items don't have button images, but they can still be placed on the toolbar as "text" buttons. We will add more images with time. The "top" toolbar can now be un-docked and dragged anywhere, or docked to any side of HS-DX window. New keyboard interface to control mouse movement with 1 pixel precision in any drawing, selection or pasting mode. Use arrow keys to move mouse cursor by 1 pixel, press Enter key to simulate left mouse button down (for holding in drawing, dragging operations), press Enter again for "mouse button up" (finish drawing or dragging). This feature can be enabled or disabled under "Options" menu. After selecting a fragment of an image and starting dragging it, HyperSnap-DX uses now an OLE drag and drop feature of Windows. This means that you can move and drop the selected fragment of the image into another HyperSnap-DX window, or on other windows that accept OLE bitmap data, for example on MS Word documents. When the whole image is selected, drag and drop may be started by pressing Shift key plus left mouse button (for "move" operation) or Ctrl key plus left mouse button (for "copy" operation). In "Region Capture" mode (first stage, when the very first corner is selected), HS-DX now also displays the RGB color code of the pixel selected by mouse cursor. This can be toggled between decimal and hex display, or no display at all, by pressing the C key on the keyboard. Use mouse wheel for vertical scrolling of an image in HS-DX window, or hold Ctrl key on the keyboard, plus use mouse wheel for zoom in/out. Voice command interface (VCI) for the most commonly accessed capture functions. Please read more about the components needed for VCI here. Fixed Region, Multi-Region, Window capture - will now also capture semi-transparent or irregular shape windows, like "Office Assistant" in MS Office. Previously you could only capture them with full screen capture method, and then crop. The Setup program now offers a choice on the first screen to install either for the current user only, or for All Users (under NT, Win2000 or WinXP). Fixed "Capture Settings/View & Edit" - "Paste each new capture onto the current image" function would crash if used. Implemented a "Copy Format" function under Edit menu, to select the format of the bitmap that should be placed in Windows clipboard upon "Copy" operation, and optionally minimize HS-DX window upon copy. Improved "Capture Cursor" option - now if capture is started with a hot key, the cursor image is "burned" into the desktop and captured in one step, instead of using 2 step process (involving "repeat last capture" hot key) as before. Fixed auto-scroll to work with certain MS Access forms. Another memory leak fixed, this time in "special capture" code (capture games, video). Fixed HS-DX 4 taking a lot of processor time and heating the CPU on laptops in "region" and "window" selection for capture. Fixed a memory leak in image saving code. License keys have now more flexible format, allowing for white space in the middle when entering them. Destruction by Johan Torp (http://www.destruction.nu). Modify the capture code to always capture 24 bits per pixel bitmap, if the screen was in 16 bpp "high color" mode. Due to some limitations in Windows bitmap format, this provides both better color fidelity, and better compatibility with older programs that import graphics. Fixed - HS-DX 4 would sometimes appear to hang if you were trying to capture a window with auto-scroll, and auto-scrolling of this window was not possible. Fixed - "invert blue and white" for 256 color bitmaps did not work correctly, for example - copy and paste it to MS-Word, the image was still without the inversion. Plugged a small GDI resource leak in Region and Multi-Region captures modes. Copy to clipboard, if the image was using palettes, would result in incorrect color when pasted to other applications, that prefer to paste DIB format. Saving to TIFF files with PACKBIT compression would result in incorrect files. Fixed - "best fit" option for printing would not work, if printing without opening Page Setup. Fixed - image resolution value would be ignored in copy operations. Fixed - automatic paste to MS Word 2000 would not work, at least under Windows 2000. Modified the way file names are incremented (numbers added to them) in Quick Save. Previously the first group of digits in the file name would be incremented, so you would get names like 01-01, 02-01, 03-01 etc. Now the names will be 01-01, 01-02, 01-03 etc. There will be no change if only one group of digits is in the file name, or no digits at all. Fixed the issue of HyperSnap-DX taking away window focus when started hidden or with -snap command line option (previously -snap:awin would not work correctly). Added -exit command to make HyperSnap exit after some operations requested from the command line. Fixed "Quick Save" operation to also work for -snap command line options, including file name increments. Fixes to timed capture, not to display errors when "continue on error" option is selected. Fixed not to display unnecessary "could not register hot keys" message upon startup in some circumstances. Fixed -dumpopts command line option, previously would not save Page Setup and printer options. Some more small fixes to timed "quick save" when used with "special capture" function (games and DVD) - previously it would behave strange in this scenario, trying to snap both the game/DVD image, and Windows desktop at the same time. Fixed. Fixed timed auto-capture - previously would not execute "Quick Crop and Scale" operations except for the very first capture. I'm very, very sorry about it - releasing ver. 4.01.05 yesterday, I made an error in the license checking code. The result was that no license could be entered into HyperSnap-DX 4 - the program would crash itself. Ver. 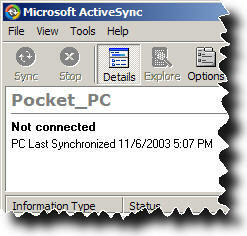 4.01.06 fixes this error. Again, my sincere apologies! - Greg Kochaniak. HyperSnap-DX will now remember the size of a "new" image, which you set with "Resize" button on the drawing toolbar. Added saving and restoring of pen width and color, and eraser width upon exit/restart of the program. Added -ra command line parameter, to restore "advanced" options when the program is restarted. These "advanced" options currently include "Capture Settings" - "Crop & Scale" enable mode, and "View & Edit" selection. Normally restoring these options in other than their default state could confuse beginner users of HyperSnap-DX, so we use this command line argument to prevent this confusion. Fixed - saving 8 bpp images (e.g. GIF) would again give blue tint to gray color. Fixed - right mouse click during capture would not work on Windows NT 4. Fixed - the delay time for capture was not saved when HS-DX 4 was exited and restarted. Fixed - "Pan Last Region" would increase the size by one pixel each time it was invoked. Fixed - scale image, then edit/copy - uses incorrect selection rectangle (should copy entire image, copied the size of previous selection). Fixed auto-scroll in 32 bit color mode, which would not work on some machines. Fixed - now will not restore HS-DX window after a cancelled capture. Fixed a crash on some old ATI graphics card in Region capture or Crop, when zoom area was displayed. Fixed - if using quick save with quick print, and printing the file name with %file% or %path% macro, the previous file name would be printed. Fixed wrong text (FileBX license) on the "License" dialog box. The "Change" button under "Quick Save" tab of "Capture Settings" would sometimes become disabled. would save a GIF file named "snap.bmp", now it will correctly change extension to make "snap.gif"
which seems to be more logical. Fixed a difficulty in license entry, and an occasional crash there. Fixed a crash when trying to change "stop timed capture" hot key. Fixed Multi-Region capture, would not align correctly the regions, if one of them extended beyond the desktop. Region Capture - you can capture not only rectangular regions, but also can select "rounded rectangle" (with 3 different round sizes, small, medium and large), and ellipse/circle. Just press S key on the keyboard to toggle the shape, or right-click the mouse to select it from the menu. New "Quick Paste" feature. Under "Capture/Capture Setting" menu, select "Copy & Print" tab, and enable "Copy each capture to clipboard" (like "Quick Copy" in the old HS-DX). Start another program, where you would like to paste your pictures, e.g. MS Word document. Enable also "Paste each capture to:" box, and select your window from the drop down list (you will see it's title text there). You may also enable "Minimize this window before the capture" if you want. Click OK, minimize HyperSnap-DX window to the task bar. Now in your MS Word (or other selected) window, click where you would like a picture, and start HS-DX capture, e.g. by pressing hot key combination like Ctrl+Shift+R. When you finish the capture, MS Word window will come to front and the picture will automatically appear there. Images can now be displayed at any zoom level, not only 100% (original size) as in ver. 3. Capture functions - a menu will now pop-up when you press right mouse button during Region or Windows capture, offering "Abort", "Finish Capture" and several special options, e.g. change of mode. Print Preview on File menu. Printing of large bitmaps will span multiple pages if necessary, not only downwards, but also across. By default, HS-DX makes now a "camera shutter" sound when making a capture. You can disable this under "Capture Settings..." if you don't like it. New function - "File/Set as Wallpaper..."